Walking through a mall here in Atlantic City, I saw a large newsstand and reflexively veered into it to see what strange and arcane newspapers and magazines they had. What they had was candy, soda, and snacks. Hidden in the corner of the corner behind the door were a handful of newspapers, I think. I didn’t see them while I was there, and only see the possibility of newspaper now while I’m examining the photo. I did see the display of novels. 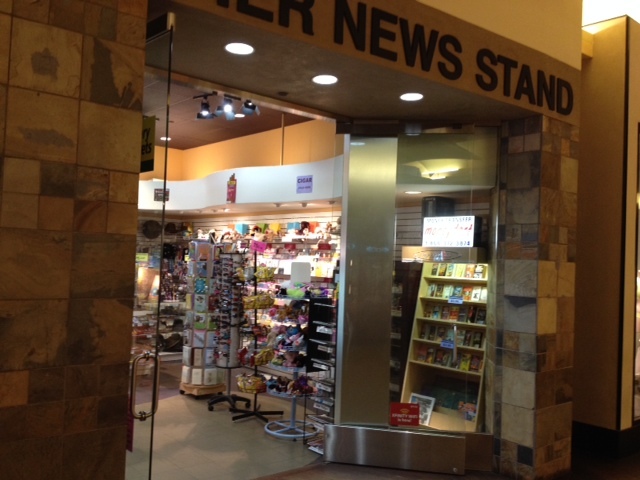 There is a similar newsstand in our hotel, but it’s smaller. It doesn’t have the fiction, or the newspapers. It has a handful of glossy entertainment magazines, and of course candy, soda, and snacks. At some point in the future, if not now, people are going to start thinking that “news” means candy, soda, and snacks. 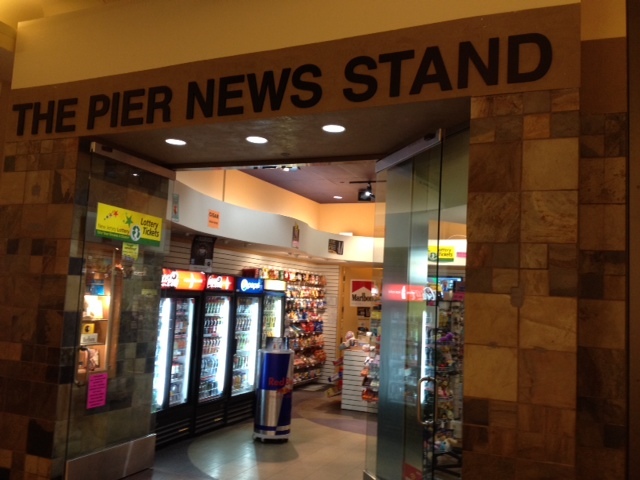 Where is the news in this newsstand? Is there a news display here, or just fiction? In response to 2014 in photos: For photos and perhaps other quick notes sent from my mobile device or written on the fly during 2014. Journalists, because of their background and temperament, are specially unsuited to report on science. Amusing Ourselves to Death is a disjointed effort to prove that the speed of modern communications is killing us, but it ignores basic features of modern communications, such as the ability of both sides to respond; and to the extent that modern communications empowers the individual he sees that as an evil, preferring the bundling of individuals by self-appointed elites as in the age of Tammany Hall. David Halberstam’s tome about the growth of media power is repetitive, burdensome, it circles itself like an overweight prizefighter attempting to gain the advantage of the mirror, but like the aging boxer is filled with anecdotal glory. The evolution of news to candy last modified May 19th, 2014.